April is National Garden Month! For all the budding naturalists, environmentalists, and gardeners, we have picture books that explore plants and gardens from every angle. 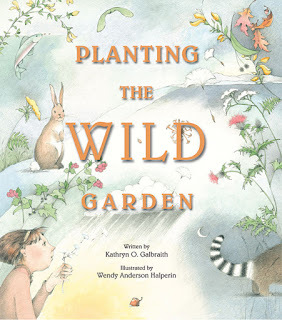 From a simple board book introduction, to beautiful urban gardens and naturally wild gardens, find the perfect book to celebrate the beginning of spring! 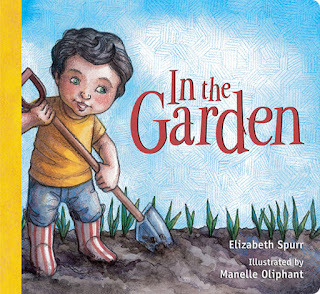 In this gently rhyming board book, a young boy creates a garden one small action at a time. First, he digs in the dirt and plants seeds, then he adds soil, water, and some patience. 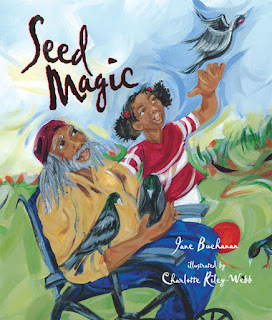 With time, the seeds grow and the boy excitedly discovers what he has helped to make. This book provides a perfect sit-in-your-lap reading experience for toddlers. 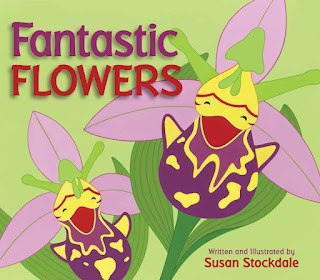 With engaging rhymes and bright, bold images, award-winning author and illustrator Susan Stockdale introduces young readers to 17 different flowers from around the world—a dazzling display of beautiful blooms with colors and shapes that resemble actual things, from ballerinas to kissing lips to wild baboons, and more! Back matter tells a little bit more about each flower (including color photographs) and describes the pollination process. As he observes his Aunt Lilla work with the beehives on their Lowcountry farm, Henry can’t wait until he can have a bee-suit of his own so he can help with the sister bees. This stunning picture book introduces readers to the world of bees, beekeeping, and bee habitats through a gentle fiction story of a boy whose curiosity will be mirrored by every young reader. This gentle story will be a new favorite for both long-time and new fans of Lester Laminack. Emmy loves trees. She loves oak trees with acorns. She loves pine trees with cones, and willow trees with swishy branches. 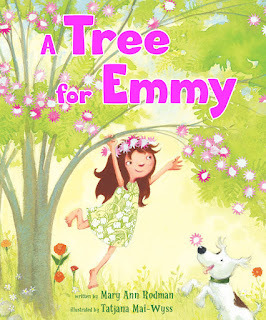 But best of all, Emmy loves the mimosa tree that grows in her grandmother’s pasture. So when Emmy decides she wants a mimosa tree of her own for her birthday, she is dismayed to find that many garden stores don't sell them. Emmy is crushed—until she discovers that the answer to her problem is growing right before her eyes! Mary Ann Rodman’s joyful story will help readers appreciate the natural world around them. Eloquent and lyrical prose combined with stunning illustrations explore the many ways seeds are distributed and show how elements work together to create and sustain a wild meadow. In the wild garden, many seeds are planted, but not by farmers’ hands. Different kinds of animals transport seeds, often without knowing it. Sometimes rain washes seeds away to a new location. And sometimes something extraordinary occurs, like when the pods of Scotch broom burst open explosively in the summer heat, scattering seeds everywhere like popcorn. Grand Ma Mere loves two things best in all the world: her tulips and her grandson, Pierre. Everyone can see why she loves her flowers, for hers is one of the loveliest gardens in all of Paris. But Pierre is a trickster. Every spring and fall when Pierre visits, to the household staff's dismay, his practical jokes and mayhem follow. In all of his years as a prankster, Pierre has never dared to play a trick on his very grand Grand Ma Mere or her beautiful tulip garden. But this year is different. This fun and engaging fiction story will keep readers laughing to the end. One day, Birdman, who sits in his wheelchair all day feeding seeds to the pigeons, fills Rose’s hands with slick, black seeds. He tells her they are magic—if she plants them outside her window they will grow a garden. Her brothers don’t believe, but Rose sets the seeds out and waits. Soon, like Birdman promised, a garden appears before her eyes—a musical flurry of red and yellow and blue, drawn to Rose’s window by seed magic even in the midst of the barren, gray city. 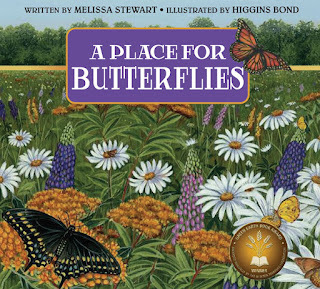 In this informative nonfiction picture book, author Melissa Stewart shares the basic facts about butterflies and introduces young readers to some of the ways human action or inaction can affect butterfly populations. The book also provides pointers on how youngsters can help butterflies thrive in their own neighborhood and will open readers' minds to a wide range of environmental issues. Dig into the leaf litter layer right under your feet and the creatures who live there! These nineteen poems in a variety of verse forms take readers on a decomposer safari through the “brown food web,” from bacteria through tardigrades and on to rove beetle predators. Perfect for cross-curricular learning, this book includes science notes about each critter and poetry notes about each poetic form, as well as a glossary, hands-on activities, and additional resources for curious readers to further their investigations. 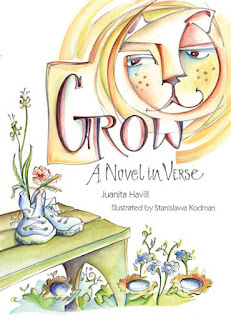 Award-winning author Juanita Havill brings to life the story of a community garden in an urban neighborhood and the mismatched people who carefully tend it. 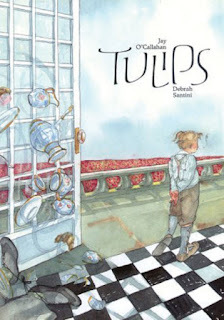 Told through the eyes of an impressionable girl, the series of richly detailed prose poems delivers a powerful story of the extraordinary magic that occurs every day when ordinary people work together. The result is an affecting, lasting portrait of community life and the power of shared commitment and hope. Find these books and more at your local library, indie bookstore, or Barnes & Noble!